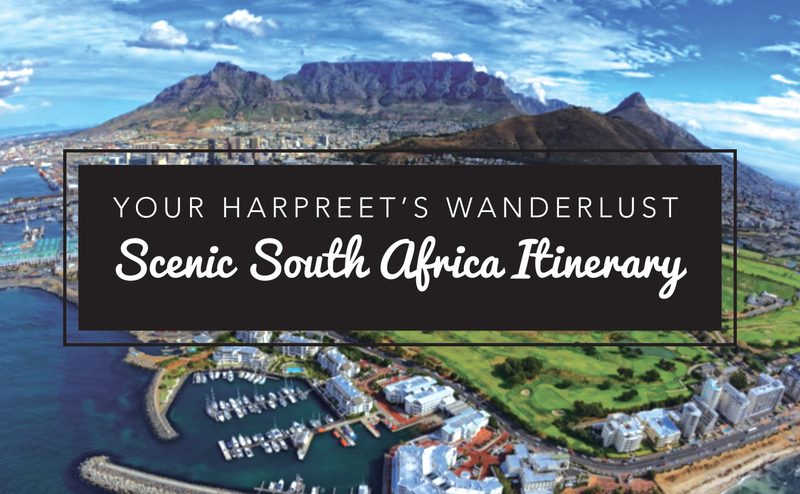 Hello again my dear Wanderlusters! I hope you enjoyed my last post adventuring around the Taipei and its environs, seeing the colossal bamboo shaped Taipei 101 from Elephant Mountain and exploring temples and markets. 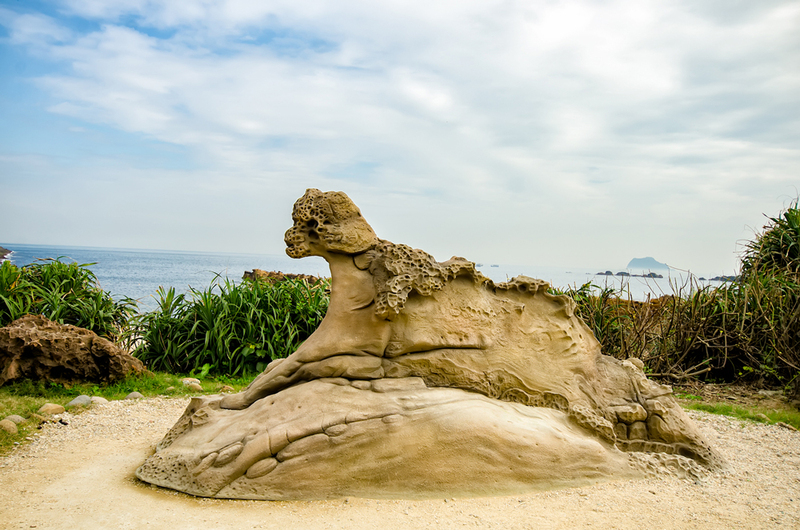 Today’s post takes us slightly further afield exploring some pretty (pun intended) scenic areas close enough to venture from Taipei on a day trip. Let’s explore, shall we? 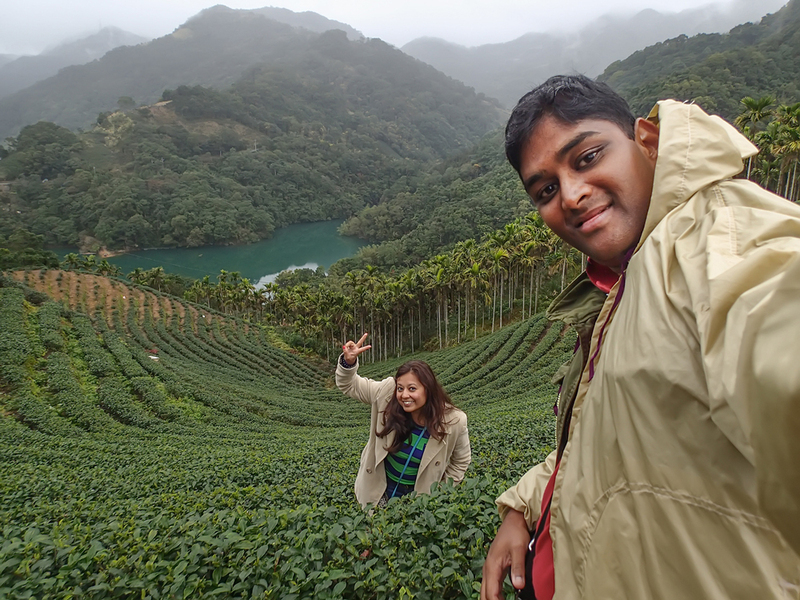 Think rolling hills swirling with mist and studded with tea plantations set up high in the mountains. You could be forgiven for thinking you are in Nuwara Eliya in Sri Lanka, with the boundless tea plantations stretching before you. 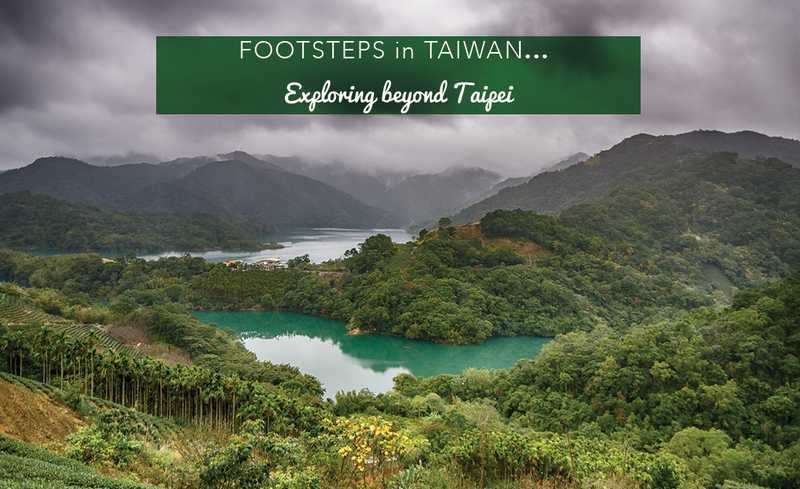 But, you are in Northern Taiwan in the Shiding area, where you will find some of the region’s best teas being grown. You know me by now, a tea girl through and through, needing no excuses whatsoever to indulge in a cuppa or anything to do with this glorious brew. 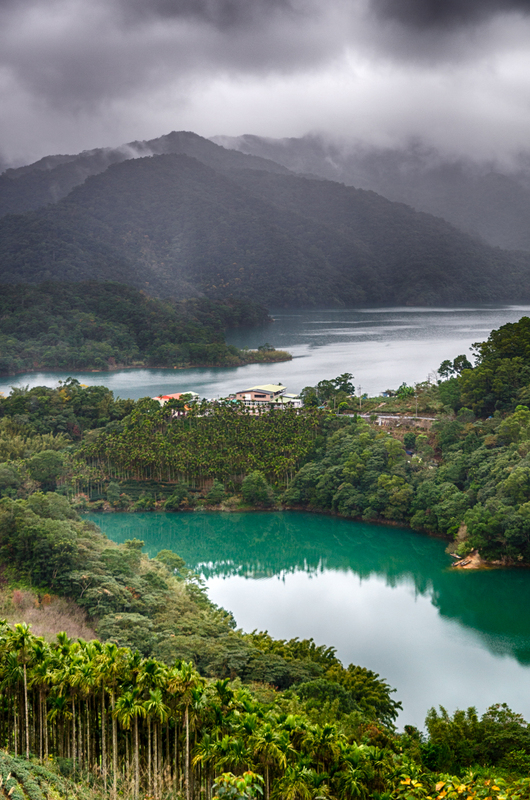 Having partaken in a tea ceremony in the tea houses of MaoKong, I was more than happy to spend some time perambulating in Shiding with its beautiful emerald lakes and tea bushes spread out as far as the eyes can see. This region puts the whole ceremonious take on tea that I talked about and experienced into perspective. When you see the picturesque area the tea comes from, and take a moment to breathe in the cool, crisp air around you, it is inevitable that you too will luxuriate in the taste and celebrate your next cuppa, like the Taiwanese do and like I have now started to! 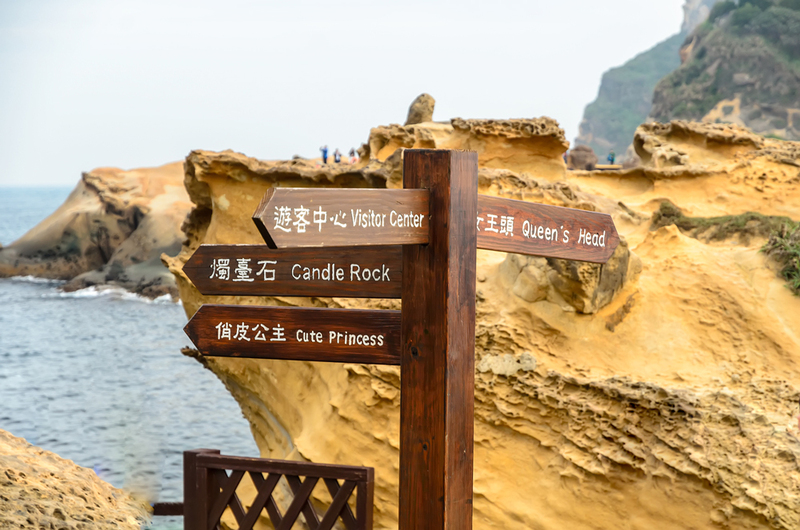 Set out in coastal Keelung City in Northern Taiwan about an hour’s drive from Taipei, lies Yeh Liu Geopark. 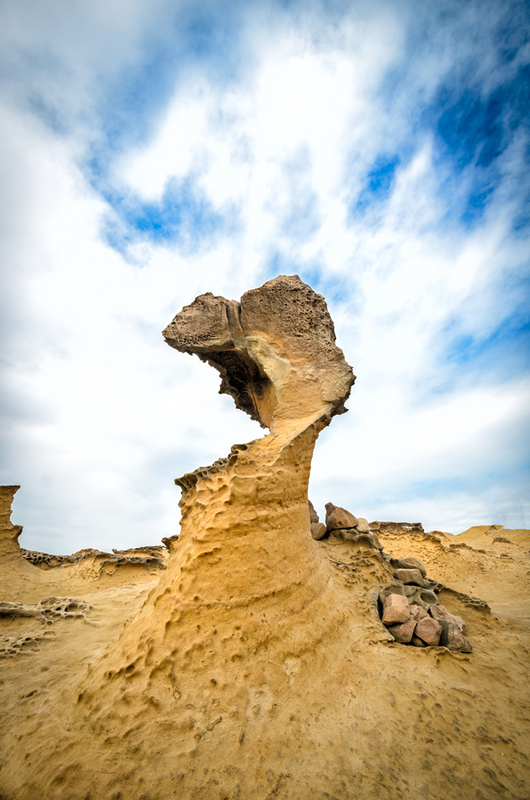 This park is home to naturally created geological rock formations that have been given apt names, some pretty accurate and others quirky, to describe nature’s stone art creations. The most famous formation is “Queen’s Head” which does uncannily resemble a queen and “she” is so popular that there are quite a number of people vying to have their picture taken by “her”! 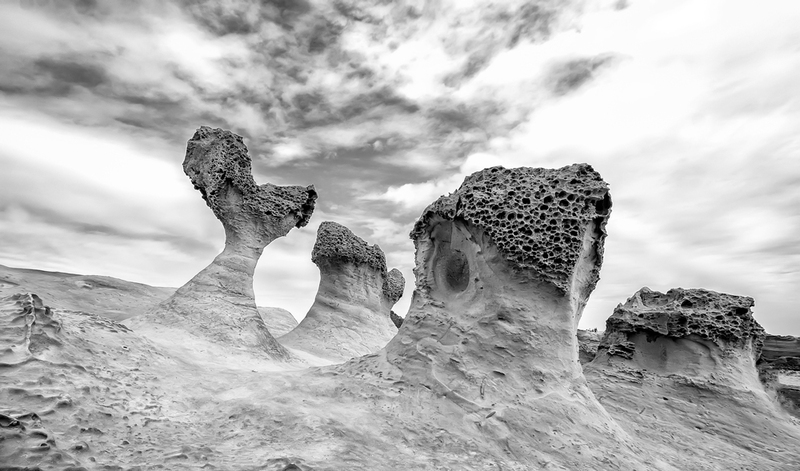 Other than the head, there are various formations that have been given names like Sea Candles, the Fairy Shoe, the Kissing Rocks and so many more that I cannot now remember which are fun to look at. The Queens Head…really does look like one! The park was teeming with what Jeff termed as “mainlanders” when we went and it stretches out along the coastline, with the waves from the sea crashing onto the shore. If I were to be completely honest, it did start to feel a bit staged with ramps and walkways separating the various geo features after a while. I will admit that I did have my fair share of fun posing away, as one does but was happy to move on to explore the other little towns on our itinerary. 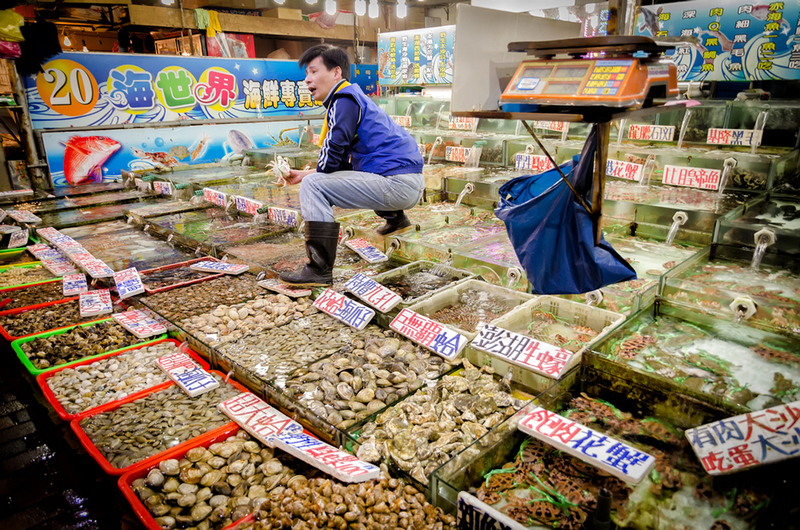 Keelung Market – look at all that seafood! 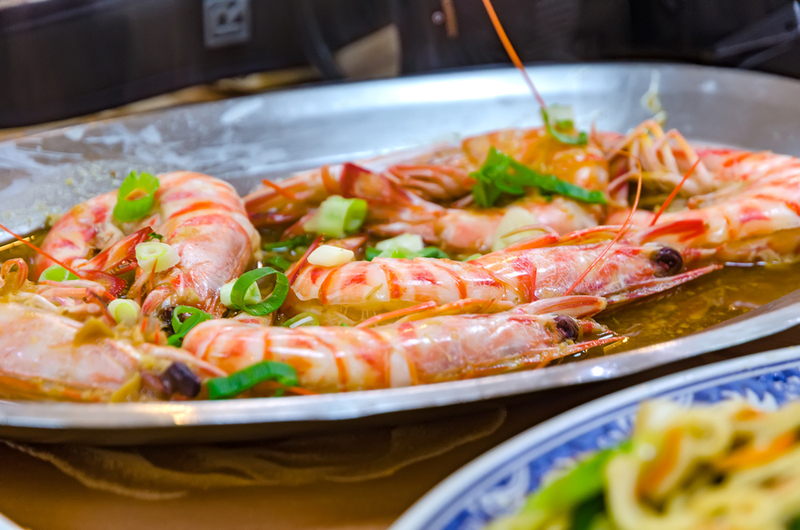 When Jeff found out that I enjoy my seafood, he recommended a fresh seafood place out in Keelung city that he thought would be perfect for lunch after our visit to nearby Yeh Liu Geopark. 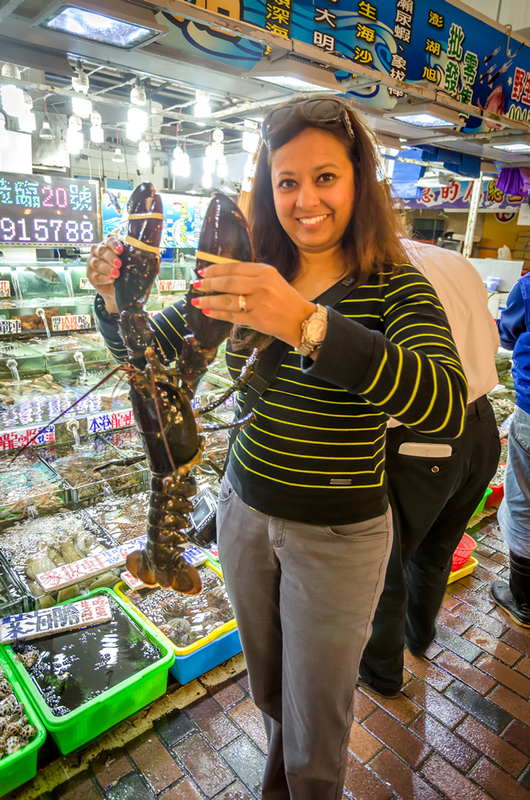 Freshly caught lobsters, prawns, crabs and anything else you can imagine grace the halls of this open market situated within the Keelung Bus Station, where you choose what you want to eat and it is then cooked up for you. I tried some sea creatures I hadn’t eaten before which were pretty tasty, and now I wish I had written the name down! I must warn you though, you need an appetite for fish and seafood because that’s all you will get and despite being a market this place costs a pretty penny! This was one heavy guy! And no, I didn’t enjoy holding it even though I am smiling! I wasn’t the biggest fan of waterfalls. Until I faced my fears and cured my pretty much self imposed phobia during a camping trip to the Aberdares and then subsequently visited the Victoria Falls in Zimbabwe. 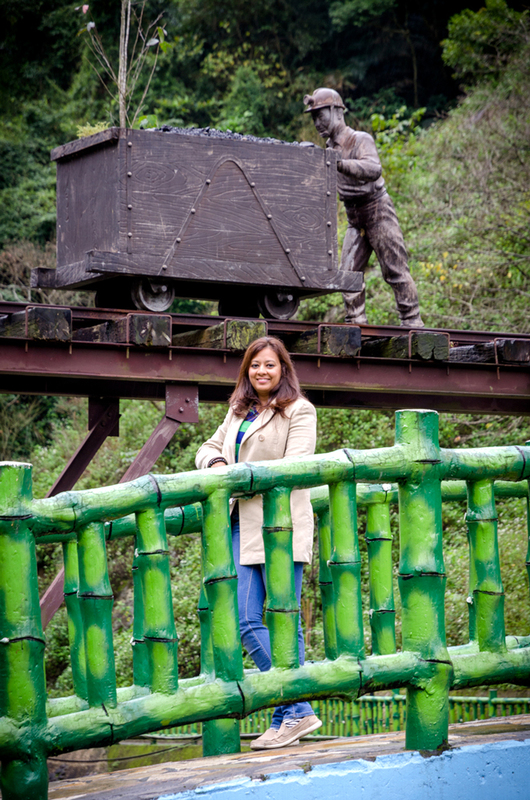 But at the time of visiting Shifen, I was a scaredy cat! 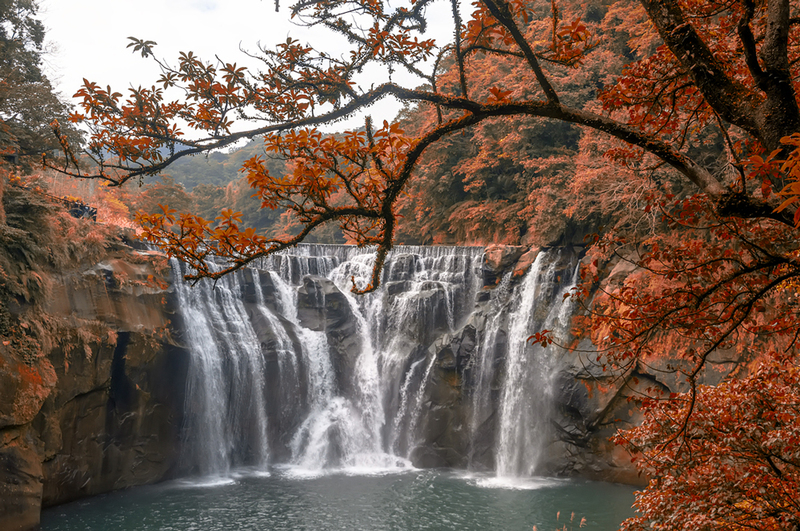 Shifen waterfall is only about 20 metres high and its water cascades over the rocks with gushing force that makes the water appear to have a milky texture, its droplets creating rainbows over the little lake. The quirkiest thing about Shifen though, isn’t its scenic waterfall but rather the Old Streets with the railway track running straight through the centre of town and into Ping Xi. 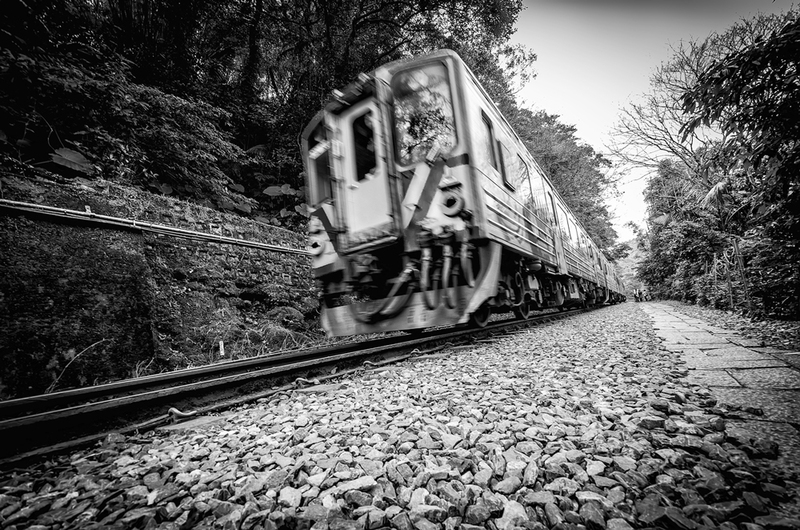 You can ride the train along these tracks that once transported coal from place to place during the mining period, and hop freely over the tracks (checking to see that the train isn’t coming first) from shop to shop. Tell me to make a wish and I am in. I am a sucker for anything to do with wishes…be it fountains, wishing wells, fairytale or Harry Potter related. 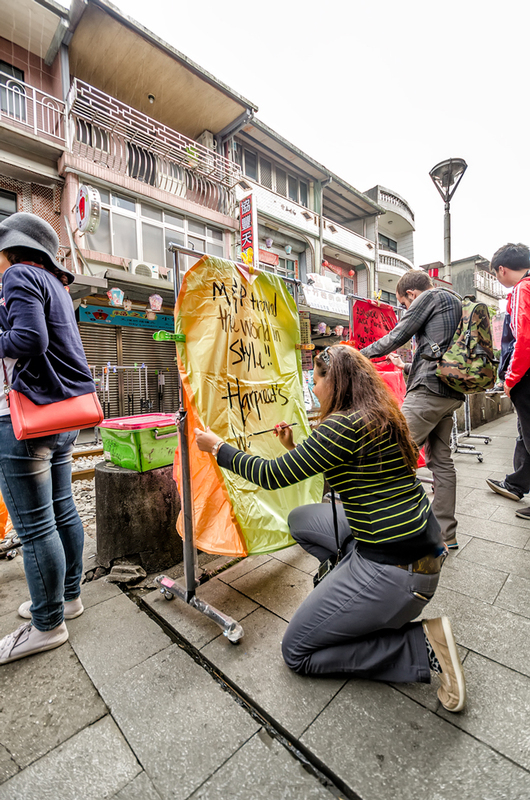 Imagine my delight when I found out that the old coal mining town of Ping Xi has a Sky Lantern ceremony where you write your wishes on a lantern, light it up and send it out into the universe! I was sold. 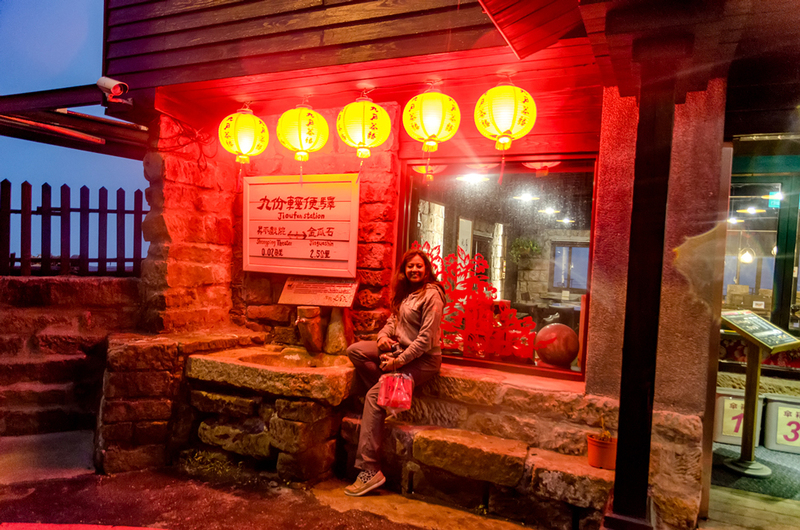 The main town of Ping Xi is similar to the Old Streets of Shifen set amidst the same railway track that still runs to date, where if you want you can ride the train to the town of Shifen and back. It is incredibly scenic and the setting reminds me of something out of the novel “The Railway Children”. 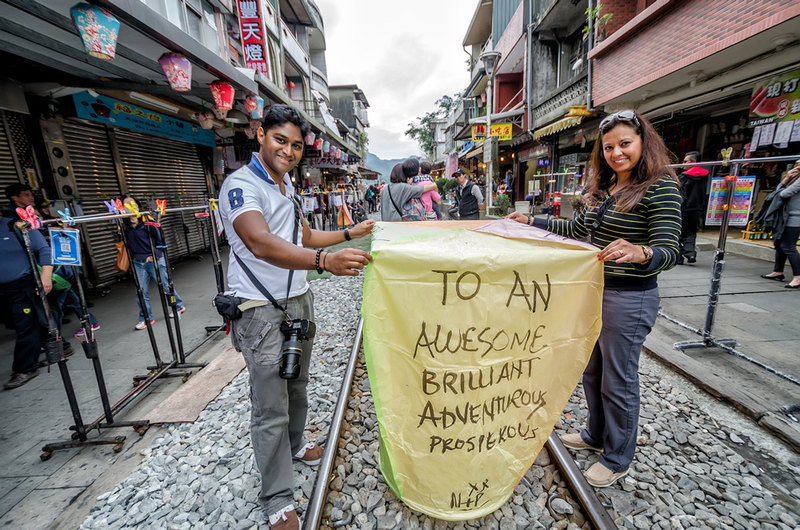 Hanging around the railway track, flitting from one part of the tracks to the other and then writing my wishes and releasing the lantern to the heavens above was so much fun at the time, but you know what? NONE of what I have wished for has come true. Oh well. The Universe has my menu and the hope is that one fine day, it WILL deliver! Won’t stop me believing in magic! I once saw a picture of a narrow alleyway packed with little shops, tea houses and snack vendors on either side and beautifully lit up lanterns at dusk, their warm glow bathing the entire street in dreamy light. The lanterns suggested that this place had to be somewhere in Asia. You know me by now. I see a picture and the wanderlust sets in and I just have to find this magic place. 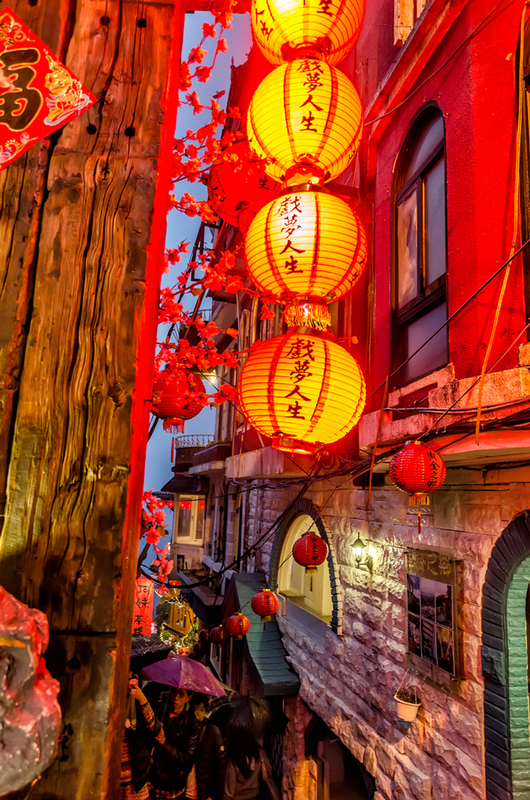 On further digging, it turns out that this “dream street” truly exists and so, wanderlusters: welcome to the lil town of Jiufen! By the time we got to Jiufen, the clouds that had been threatening to unleash make good on their threat and it had started to thunderstorm. 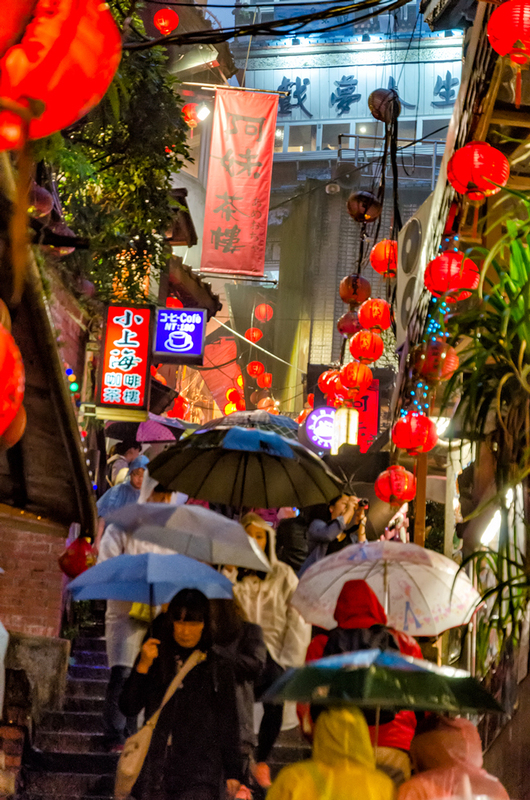 Dusk had set in, and despite the pouring rain the alleyways were teeming with life, with people milling around and going into tea houses to indulge in steaming hot cups of tea and eating freshly made snacks. 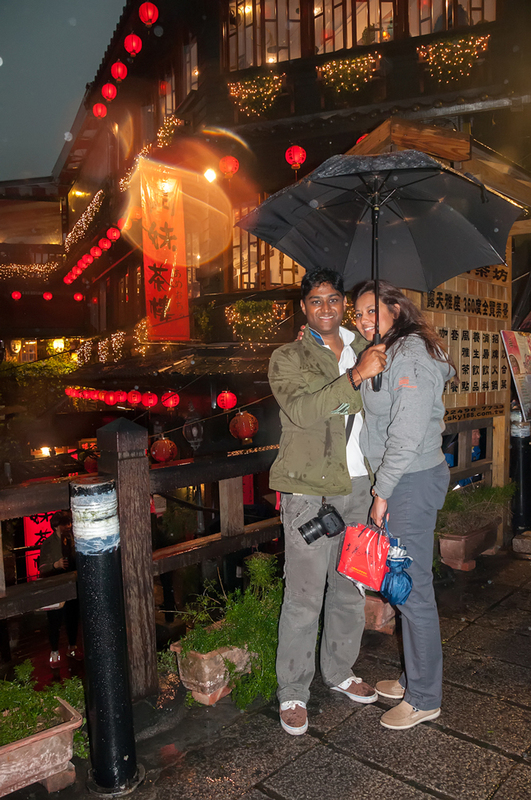 Jiufen had a life of its own, made even more cosy and romantic with the rain, and ordinarily I turn into a grumpy gus gus when it rains on our travels but I was perfectly content to be huddled under an umbrella with M, and soaking (literally) the atmosphere all in! 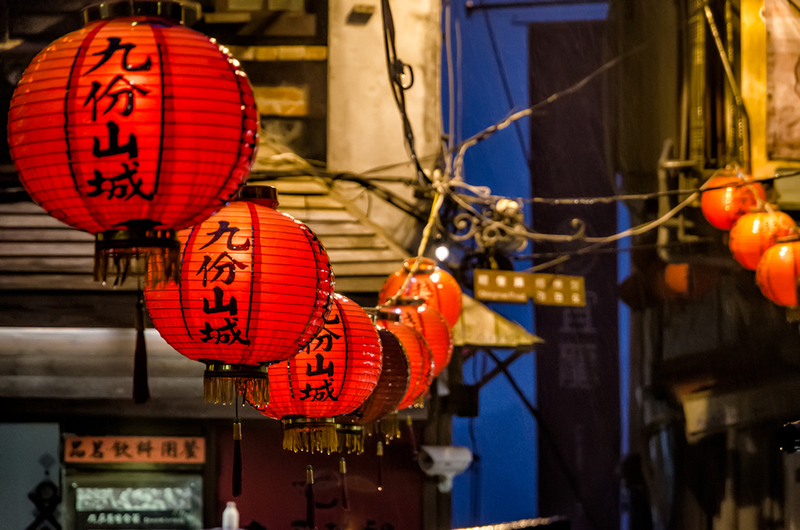 I didn’t get the “signature” shot of the street with the lanterns that I coveted but I did come away with the fondest memories of this lil town, making it the perfect end to our sojourn in Taiwan. Soaked through but oh so happy! 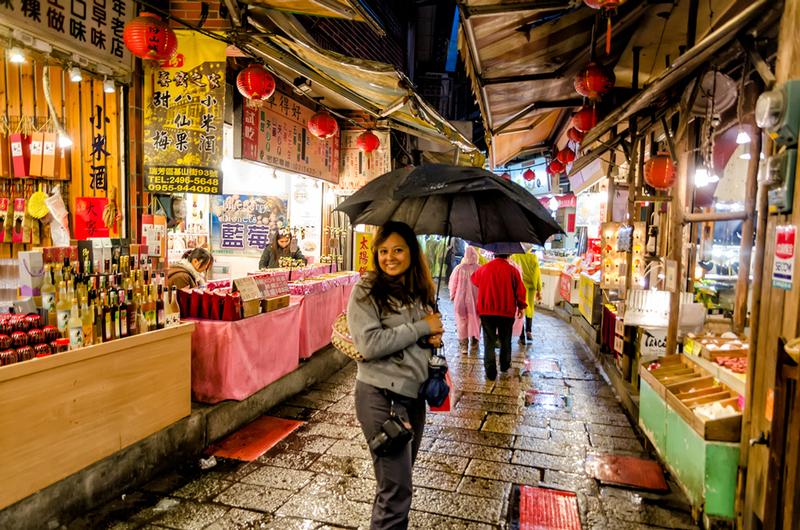 M and I booked our tours with a private travel company in Taipei. 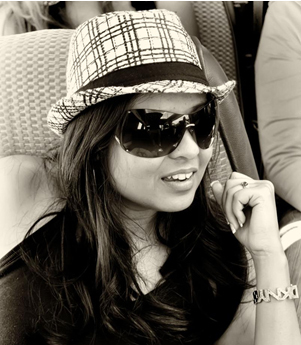 We tailor made our itinerary from a number of choices available based on our own research and what interested us. Our tour had a private car and English speaking driver/guide who chauffeured us around and made our experience all the more fun! Please let me know if you want details on the company and I will be more than happy to send you the contacts! Price* – NT$ 80 for adults. 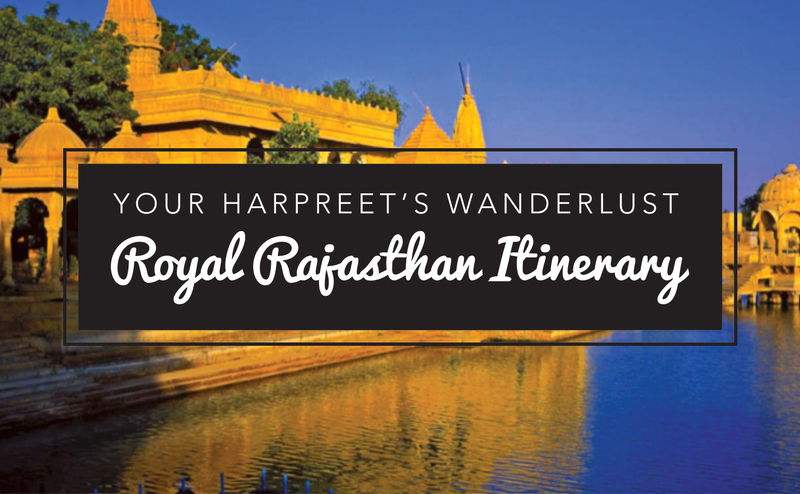 *Correct at the time of publishing this blogpost however please do confirm before you visit! hsieh hsieh Taiwan, for a memorable time! Next post: Footsteps in…Ljubljana, Slovenia!